So when a piece of fanfiction is an #ownvoices fic about sensory overload? Dude, I was SO THERE! Add to that that this fic is written in the BBC Sherlock fandom, and it was freaking calling for me, dearest nerdlets! And it really fits with the character of Sherlock. A lot of people have theories about possible neurodivergence or mental health problems when it comes to the way Benedict Cumberbatch plays the character. And we already know that he had past drug addiction problems, which can, in itself, cause sensory overload. We also have some M/M romance here in the form of an established relationship between Sherlock, and John Watson. To some people this element may come across as 'love cures all' - but I don't think it is. Fanfiction is gonna change the world my nerdlets!!!! 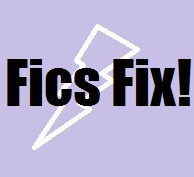 Do you know of any awesome fics which feature disability? Wow it’s so great that you were able to find a fic that features this disability! I don’t think I have ever read a book about sensory overload. I know, right? Like, it's an aspect to a lot of disabilities, so I'd expect it to come up more! Yeah - I've had a migraine this week, along with sensory overload, and I think my family are now terrified of me! Lol. That's awesome that you found a fic with #ownvoices rep of a disability! Thought this was a really good portrayal of sensory overload and awesome that it's #ownvoices. But despite how much I love the 'bromance' between John and Sherlock I just can't see Sherlock as a sexual being no matter how much I try.